The vision behind Pressure was to develop an arcade game with a unique touch. 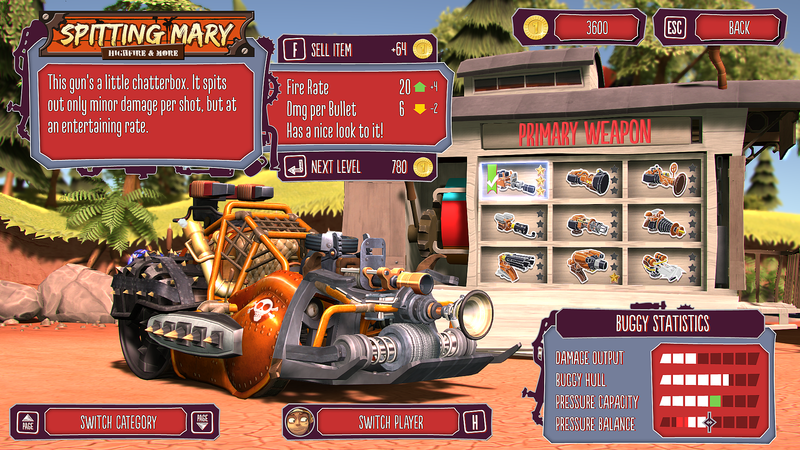 A shoot-’em-up in which you are steering an expandable buggy as you fight your way through a sloping steampunk world. 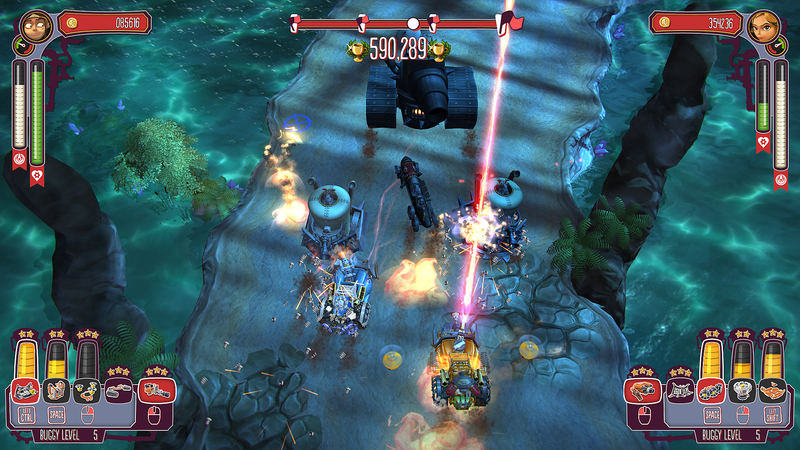 The pressure from which the game takes its name serves as the buggy’s fuel. The vehicle uses pressure while driving/firing and has to be topped up after enemies are finished off, otherwise you are literally left in the dust. We were totally won over by the idea, so our small team got to work. We were well equipped from a technical standpoint, but after some time it became clear that we needed a little help in some other areas. At Gamescom 2012 we became acquainted with German publisher TopWare, who offered their support. Since we were able to finance ourselves at the time, our work with TopWare was about marketing and QA, as well as publishing for consoles. TopWare presented us with an impressive range of services, and in turn, TopWare was to receive royalty shares from the profits generated by Pressure. But the marketing machine that had been advertised soon proved to be a whole lot of nothing. There was hardly any communication about the game to speak of, and instead, TopWare whispered listlessly along well-worn channels. Too few players were learning about Pressure. That was presumably fine as far as the versions for PS3 and Xbox 360, which had also been advertised, were concerned because they were not to be released at all. We had completed those versions, paid for the engine licenses, and taken care of everything else that had to be done in that regard, but TopWare clearly did not believe in the success of the title enough to secure a release for these platforms. Of course, we tried to figure out why things were going the way they were. In essence, the communication between TopWare and us was often a farce. Inquiries from our end sometimes went unanswered for weeks. It was a hard time in which we began to question everything that had moved us to create this game in the first place: our idealism, our creativity, everything. We were just about to throw in the towel. On March 26, 2013, TopWare published Pressure on Steam at the very least, but too quietly to end up on any radar. We ultimately requested to terminate the contract with TopWare. We wanted the rights to Pressure back and to save what could still be saved. Better late than never. What followed was a legal back-and-forth that only ended in 2015. 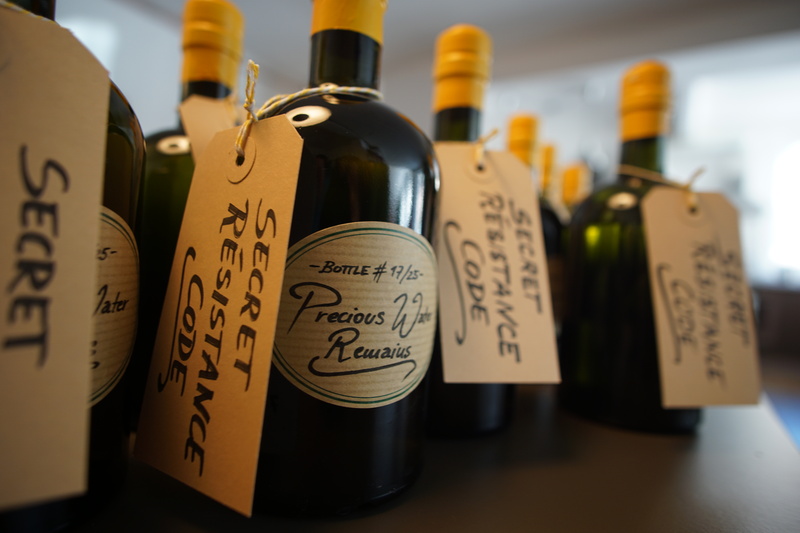 We ultimately got back the rights to Pressure through a settlement out of court. Anyway. In autumn of that year, we published Cosmonautica, a space commerce simulator with Sims elements. This time we had no extra support, but sadly there were other unexpected problems. In order to somewhat make up for the consequences of those problems, we decided to belatedly release Pressure on the Xbox One and PlayStation 4. It was a sensible move not to simply port Pressure, of course. We had to dismantle the entire game anyway after changing from our old engine (Vision) to Unity. Plus we knew which aspects of the gameplay we could improve. We wanted to take this opportunity to give Pressure a whole new sheen, and new attention as a result. With that, the idea for Pressure Overdrive was born. It was an important step for us even though it took much longer than we initially thought. We had planned four months for the whole process, which then stretched out over two years of negatives and positives that we now want to give you a closer look at. Early on we had to make sensible changes to the gameplay, and we also focused on the shop. In the original many of the buggies’ weapons behaved similarly. For the new version, we wanted to offer more synergies between the items, allowing for individual playing styles. The revised equipment in Pressure Overdrive makes a significant difference. The new weapons and items supplement each other much better and invite the player to experiment from one level to the next. Along with the new equipment, we also revised the pressure system. Whereas in the original the pressure was the fuel for the buggy, now it acts like stamina. The player has to equip and use their buggy in a balanced manner, but without any annoying breakdowns in the middle of the track. We also optimized the steering. Pressure Overdrive plays a lot more fluidly with the twin-stick input, which is most compatible with the other improvements. We are very happy to have addressed the right aspects. Pressure really earned the Overdrive in its name. Unity has many strengths, but the peculiarities of one project often necessitate many aids. If you can’t find the right ones, you write them yourself. 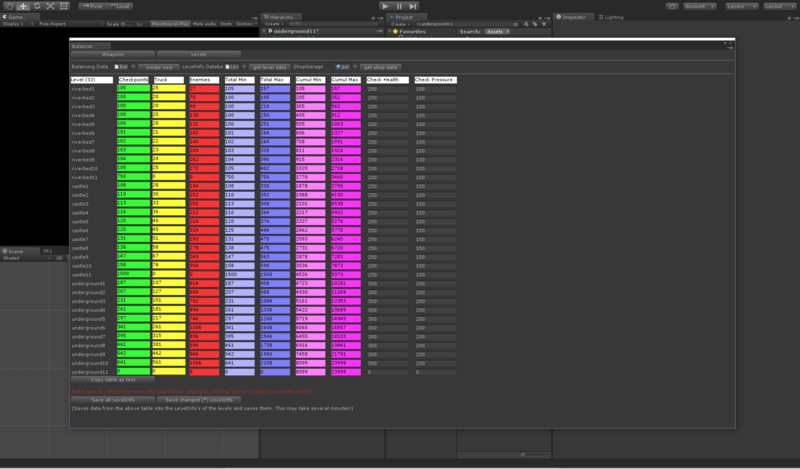 For example, importing all of the assets from the original Pressure would have gotten out of hand without our “Importer”. Or the “Progressor”: with a few clicks we were able to simulate, change and test the distribution of gold in the game to determine which weapon combinations the player can afford after a certain degree of progress. The in-game console was an invaluable all-rounder, in particular when it came to testing, and the “Balance Reporter” compiled extensive data of the route, opponents, and players for each level. Our localization tool saved us the most work (and mistakes). Pressure Overdrive doesn’t include a novel’s worth of text, but enough material came together with ten translated languages. Our easy-to-use Python tool plus database and export function made it exponentially easier to work with the translation company. Through Pressure, we had become acquainted with the certification processes at Microsoft and Sony, but because of the circumstances at the time, a lot of it went right past us. So we rediscovered this part of the production for Pressure Overdrive, and mastered it with surprising independence and deftness! Both platforms have their idiosyncrasies for processing the various challenges of a game title. From the very start, we focused on the testing. After viewing all of the tests that Pressure Overdrive had to pass to be certified for PlayStation 4 and Xbox One, we compiled a comprehensible and organized to-do list so we could face the challenge. We split up into specific teams and set to work on the individual “use cases”. Per console one person tested the respective version down to the core, one programmer analyzed and fixed any problems that were detected. This helped both versions through the certification process pretty quickly. The organizational discussions also went without a hitch thanks to the good contact between our producer and our contacts at Sony and Microsoft. As part of the Indie Arena booth, we were in the company of lots of great titles, but the layout of our stand enticed a lot of visitors to our game. We tried to make optimal use of the space given to us: with a large television on an old wooden cabinet, pleasant lighting and two comfy sofas we provided the perfect setting for relaxed couch sessions in the middle of all the chaos. 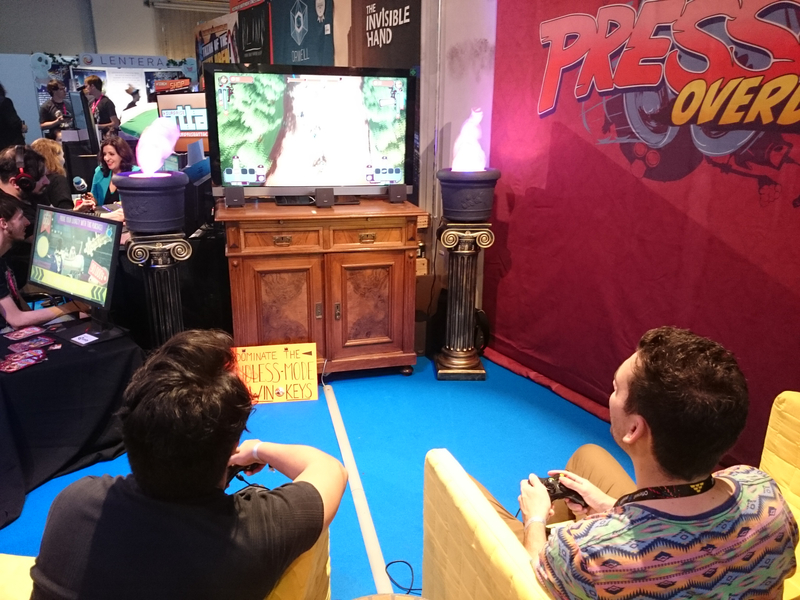 We also used noticeable signs (hand-painted, of course) and a direct approach to invite visitors to achieve the best high scores of the day and win Steam keys in Pressure Overdrive’s Endless mode. Most didn’t need to be asked twice. It was immense fun and our yellow sofas were occupied almost constantly. Sometimes we even had a line. Aside from the enjoyment, our visitors also provided us with some useful feedback that resulted in ideas for small updates and patches on site. With this, Gamescom was an experience that left smiles on our faces for days to come, and some new fans left with memories of Pressure Overdrive. The physics simulation had to be rebuilt in Unity, but the difference between Havoc (Vision) and PhysX proved to be a problem, in particular, the so-called WheelCollider, a PhysX-specific abstraction for the wheels of vehicles, because it had a major effect on the driving behavior of all vehicles in the game. 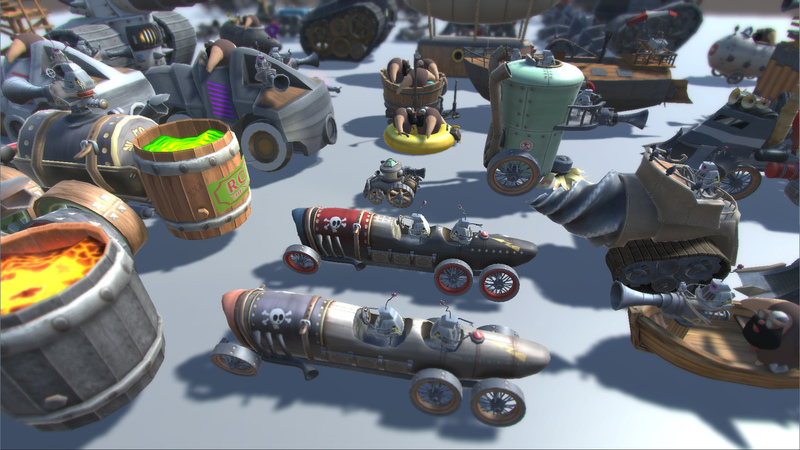 Lots of extra code had to be written for the vehicles to act the way our game design intended. There were obstacles for the weapons and effects in this area as well, some of which made the project structure more complex than it needed to be. We would have had to test alternative approaches for the physics, e.g. more 2D physics, and then maybe we could have retained the online multiplayer mode from the original. But under the circumstances, it was extremely difficult to synchronize the game on two computers. There are techniques for expanding the simulations of the physics engine on the server, and they are often used by AAA titles in such situations to compensate for lags in the internet connection. Unfortunately, this method isn’t possible in Unity with the standard physics engine PhysX. Abandoning online mode was no easy choice, but sadly our situation required it. Pressure Overdrive was supposed to run on both the PS4 and Xbox One at 60 fps with a resolution of 1920 x 1080, which ultimately not only required optimization of the physics but also of the graphics. While “profiling” it became evident that we had too many draw-calls per frame, which resulted in optimization of the textures, meshes, and materials. Our primary focus was on objects that frequently appear, like enemies or environment assets. For example, with smaller vehicles, we combined the mesh of the wheels with that of the chassis. The rotating movement of the wheels or treads was implemented by shader (UV scrolling), whereby the UV scroll speed is proportional to driving speed. This saved three draw-calls per vehicle for the enemies, who often appear on the screen at the same time in large numbers. For the tree assets, the two textures for leaves and trunk were consolidated into one texture. The meshes of leaves and trunk were also combined. This saved only one draw-call per asset, but in some areas, up to 100 trees have to be rendered simultaneously, and a penny saved is a penny earned. Pressure Overdrive was our first commercial product that we developed with Unity. In some aspects, this left us on uncharted territory. Even when the tasks were very clearly distributed among the team, certain project structures became too complex over time, too entangled, and that came with consequences. As we were gearing up for finalization, bug fixing became a hot issue. We not only learned that many bugs that had already been fixed were popping back up, but some fixes resulted in new bugs. Instead of shrinking, our Trello lists temporarily got longer. It took a lot of time and was simply frustrating. At this point, all we could do was accept and maintain a certain level of chaos. We also should have planned out our playtesting better and earlier on. We managed to recruit some students from the local game studies program for playtests in the studio, and lots of players on Steam volunteered to thoroughly test the beta version. In the end, however, they all confirmed that the innovations in Pressure Overdrive functioned and were fun. This was important feedback for us, of course, because after such a long development period we were suffering from tunnel vision. Despite all of the tests we missed details that would have improved the game experience even further. It took a little step back, some surprisingly analytical let’s-plays, and the abundant sessions at Gamescom to open our eyes to some aspects. Steamspy reports a rather surprising number of owners of Pressure: over 700,000. This seems to contradict the story first described by TopWare. Unfortunately not: until their rights to Pressure expired, TopWare mass-distributed keys throughout the entire world for almost nothing. That left a bitter taste in our mouths. But we wanted to approach the players, regardless of how much they paid for the original. That’s why everybody got an 80% discount off the launch price for the release. Pressure Overdrive is an “enhanced version”, so we thought this was a reasonable step to take. Regardless we also took other avenues in the time leading up to it, such as providing international publishers with a nice gimmick for the test version. There was also a lot of activity on Facebook and Twitter, of course. A competent PR firm also helped out by letting their contacts play and drafting press releases. The reception among journalists was good. Reviews for all platforms confirmed that Pressure Overdrive is a lot of fun and an absolutely solid arcade title with its own unique touch. The current sales numbers are loud and clear: just over 15,000 units is a disappointing figure. We used our opportunities and circumstances as well as we could, but a lot of it fizzled into nothingness. We are still looking for the answer to the “why”. We had to show incredible endurance during development. Even after Pressure Overdrive was released, we couldn’t kick back. Because even if our latest game has a good public reception by all indications, the sales are what make or break us as a small indie studio. The development of a game always provides opportunities for the studio to develop itself. It binds the team together and shows where it can and must improve, be it project planning and structure or marketing skills. Yet Pressure Overdrive also showed us what we’re capable of. Porting to a new engine, including many optimizations and a multi-platform release is no walk in the park. We’re very proud of that, and of course of the game itself. Now it’s about being consistent. We want to stay true to our standard and keep developing games that we ourselves like to play. But we also want to strike out on new paths to improve ourselves and survive as a studio. Independent, on our own feet, and without having to bow to anyone. After the game is before the game ̶ let’s go!